Vaping, generally, is considered a good thing. 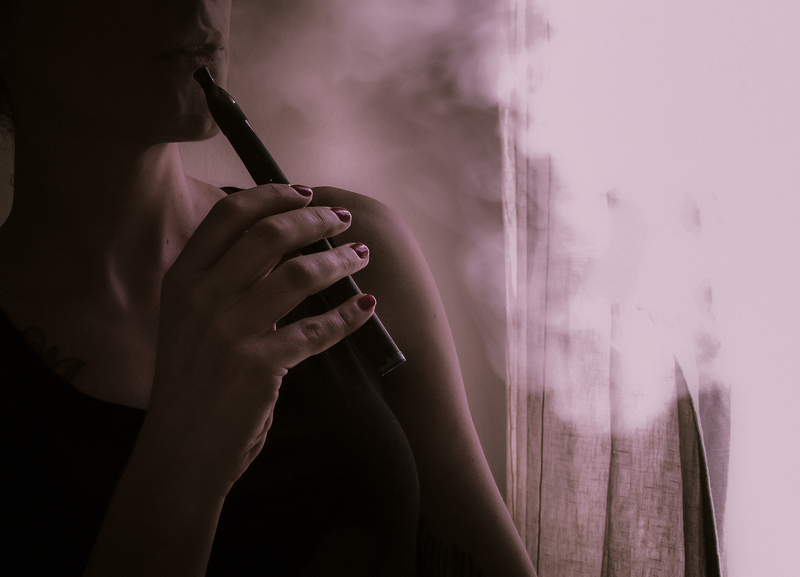 A growing body of medical and scientific evidence says it bears little or no risk to human health, and if using an e-cigarette or similar device to get you off smoking — well, that’s just amazing. In case you don’t know, smoking kills half its users. That shocking stat amounts to around 7 million lives lost around the globe beach year — almost a million of whom never smoked at all, but inhaled secondhand toxic fumes. Surely, logic says, using something as relatively harmless as e-cigarettes, if they help people kick the habit, is a good thing. Strangely, some places think otherwise. One such nation is the tiny city-state of Singapore, where since February it’s been illegal to not only vape in public but to have any kind of vaping equipment on your person, including just the e-liquid. Should the long arm of the Singaporean law make such a vaping discovery, you can almost certainly look forward to being slapped with an almighty fine. Meanwhile, Singapore smokers are free to carry on smoking, and endangering their lives, to their heart’s content. Nearly 3,000 people in Singapore die from smoking-related diseases each year. Where’s the sense? No matter. There’s absolutely nothing you can do about another country’s laws, and visiting the scenic and serene Singapore is such a treat that if you’re a vaper, you won’t want to do anything to spoil your time there. But hold up — in nearby tourist favorite Thailand, the vaping scenario is even more grim. There, you can face the prospect of up to 10 years in prison for whipping out your e-cigarette and vaping away. Your time in the Land of Smiles could quickly dissolve into the unhappiest time of your life, as your vape gear is confiscated and you’re forced to pay a substantial on-the-spot fine or consider a prison term of up to a decade. That’s exactly what has been happening to hapless foreign travellers in the Buddhist nation of gorgeous beaches and glorious interior landscapes in recent times — many of them unaware of the risks they were taking by merely vaping. Again, this might all seem lunacy in a country of 11.4 million smokers and rising, and 50,000 tobacco-related deaths annually. In fact, such is the fear of vaping around the world, that many countries ban e-cigarettes outright while others restrict their sale. So what’s all this prohibition about? Especially at a time when leading medical organisations are saying people should be taking up vaping as a way to get off deadly cigarettes. What sense does it make to allow something that contains thousands of toxic chemicals that are proven to kill people, while banning another that has practically zero harm potential and can help people to get off cigarettes? Others have argued that as vaping saves lives, it would be “madness to ban it.” But as we continue on our travels around the world and encounter these seemingly maddening bans, all we can do is hope that one day it will change and people will be free to vape wherever they are in the world — and that smoking will be banned. Now that would be a breath of fresh air! This entry was posted in Sponsored Post on March 7, 2018 by Amélie.